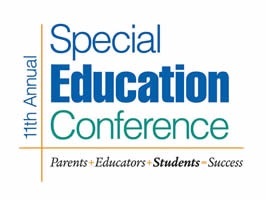 Fairfax County Public Schools is holding its 11th Annual Special Education Conference on Saturday, April 9, 2016 at Hayfield Secondary School. Registration is FREE! They cover a wide range of relevant topics for preschool through high-school students. In addition to important reviews of dyslexia, anxiety, autism, supporting siblings and other learning challenges, I was most impressed by the selection of preschool-age topics, with a strong emphasis on promoting social-emotional skills and functioning. The elementary-school age lineup is strong, too (note: some of the preschool workshops' targeted audience includes preschool and elementary school age children). For those who come by the office, I'll have a copy of the workshop descriptions out in the waiting area.